I enthusiastically anticipate each new flavor released by Project 7 Gourmet Sugar Free Gum. Some taste better than others, but each new flavor is inventive and fun to taste test (read past reviews here). 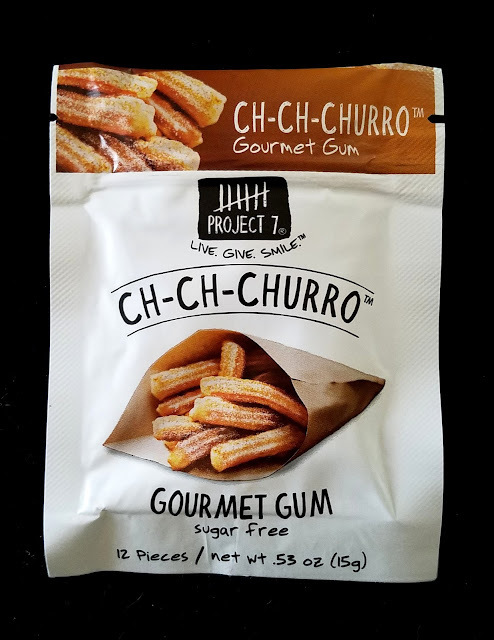 Ch-Ch-Churro is a big winner in the flavor line, basically mild cinnamon gum with some pizzazz. It does taste unnervingly similar to a genuine baked churro. Astounding! My only complaint: the flavor fades quickly.